At a diner. 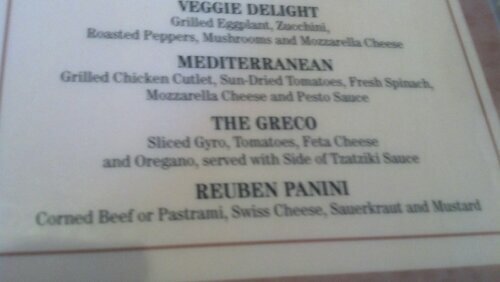 Check out ‘The Greco’ panini. Almost need to order this now, right? Too bad it sounds AWFUL.